Dates: Friday, January 12, 2018 to Saturday, January 13, 2018. Program Time: 7:00pm to 10:00am the following morning. 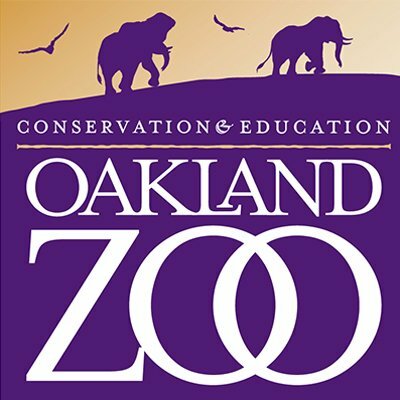 You may stay to enjoy the zoo after the program ended. Age Requirements: Scouts ages 6-12 years of age only. No siblings. Program Fee: $47.50 per adult. Scout's cost, normally $47.50, will be covered by pack the popcorn money they raised. Register here. All adults and children must register online. Make check payable to Pack 1776 and deposit it in the Pack mailbox at the Coyote Creek front office. The zoo camping is capped at 100 people; first paid, first serve. No refunds will be given after December 10. Deadline: Last day to RSVP is Sunday, December 10, 2017. Attire: Class A uniform on first day. Class B uniform on second day. Explore the Zoo on a private evening tour, enjoy a light snack, experience the zoo together while learning about wildlife, the food cycle, and different ecosystems. Participants will learn from observing the animals in the Zoo as well as searching for plants and animals that live in our local ecosystem along Arroyo Viejo Creek. This program is designed to help our scouts complete part of the Nova WILD! When it's time for bed, we'll head down to the auditorium to sleep. In the morning, enjoy a tasty continental breakfast, pack up, and head back into the zoo to observe the animals as they wake. It's an experience you'll never forget! Receive 1 Oakland Zoo patch per scout.